It’s time to fully embrace the USB-C interface, folks, at least according to listener Zack. 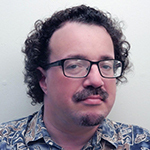 Todd helps us understand Cruft, Phil needs to know about storing IDs when traveling, Felix is curious about storing archives, and that’s just the half of it. You’ll have to listen to hear Dave Hamilton and John F. Braun talk all about this and more! 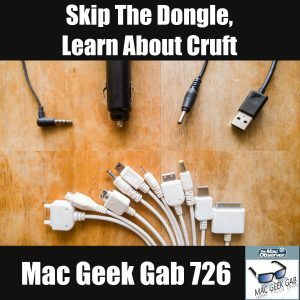 MGG 726: Skip the Dongle, Learn about Cruft! SPONSOR: iMazing – Visit iMazing.com/MGG to save 30% on all licenses to this stellar iPhone management utility that picks up where iTunes leaves you hanging. SPONSOR: Ring – Go to Ring.com/MGG to learn how you can get whole home security for only $10 month. SPONSOR: Jamf Now – Signup at jamf.com/mgg and Get your First 3 Devices Free For Life! You need to manage multiple Apple devices, and Jamf Now is the easy way to do it! 00:03:27 Douglas-QT-Downloading again … For Free! 00:17:08 SPONSOR: iMazing – Visit iMazing.com/MGG to save 30% on all licenses to this stellar iPhone management utility that picks up where iTunes leaves you hanging. 00:27:51 SPONSOR: Ring – Go to Ring.com/MGG to learn how you can get whole home security for only $10 month. Chris F., Paul M., Mike C., Mark R., Micah P., Ryan M., Neal L., Dave C., Scott F., Working Smarter for Mac Users, Abdullah B., John G., Frank A., James C., Jay C., Joe B., Peer Timo A., Eric R., Drake Z., The Teri O’Brien Show, Stephanie E.
01:10:52 Jedd-Which Range Extenders Work?